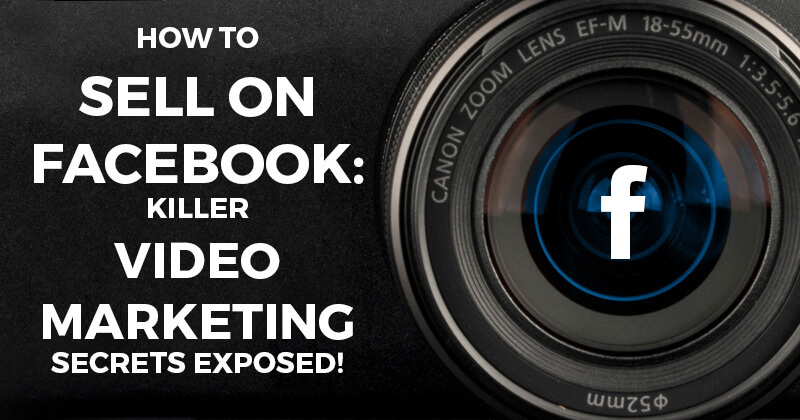 How to Sell on Facebook: Killer Video Marketing Secrets Exposed! People are going nuts over video marketing. Many say it's the next big thing -- get into video now or drown in the wake of those who are smart enough to launch early. My first attempt at Facebook video marketing made about as much impact as a waterproof towel. In fact, my initial reaction was to discount the entire process as just another way to waste time and money. The hundreds of dollars and hours I invested drew thousands of views -- but few conversions! I was ready to give it up. In this article, I'll give you an overview of the lessons I've learned in my (sometimes painful) study of Facebook video marketing. If you'll stick with me, I can show you how to turn videos into sales. These 7 maxims (actually 6 maxims and a prophecy) could have saved me a sizable pile of hard-earned dollars. For you, though, they're all free... courtesy of Post Planner. 1. Videos are ON FIRE! 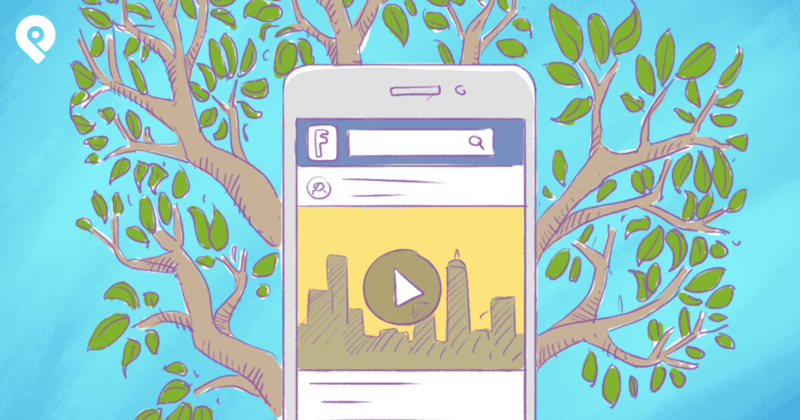 Here's the first thing to know about how to sell on Facebook: Video is NOT an option. 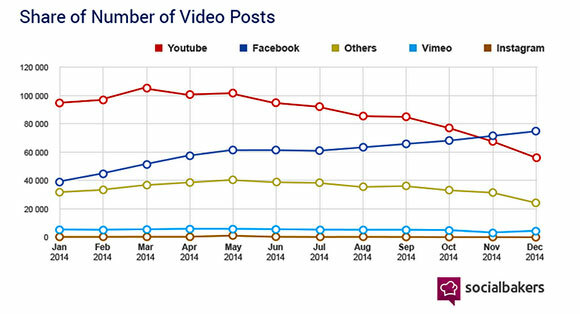 Facebook video views doubled in the first 6 months of 2014. By the end of Q1 2015 there were over 4 BILLION video views on Facebook DAILY. Any way you cut it, though, no one can deny that Facebook's decision to allow videos in the News Feed has altered the social media landscape considerably. Video is one of the most important creative canvases on the planet. That would be a tough point to dispute. 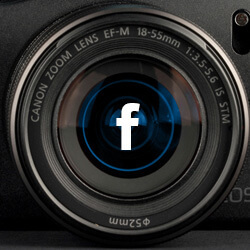 We’re increasingly seeing a shift towards visual content on Facebook, especially with video. In just one year, the number of video posts per person has increased 75% globally and 94% in the US. And with people creating, posting and interacting with more videos on Facebook, the composition of News Feed is changing. Globally, the amount of video from people and brands in News Feed has increased 3.6x year-over-year. Posting videos on Facebook is no longer an just a good idea for marketers -- it is a wise move. You really wanna know how to sell on Facebook? If the best advice your consultants can give you is "use videos," they’re already behind the times. Small and midsize business (SMB) advertisers caught on to videos quickly -- and they aren't going to stop and wait for you. Bigger brands are also getting ahead of the curve: Budweiser, McDonald’s, and Beyonce are now posting videos directly to Facebook instead of sharing their YouTube video links (hint, hint). Of all the videos McDonald's posted on Facebook in January last year, 33% were uploaded to Facebook directly. That percentage increased to 59.4% (an 80% increase) in September. Budweiser followed suit. In January, McDonald's posted 27 videos to Facebook, 18 of which were YouTube links and the rest native Facebook videos. In September, it posted 32 videos, of which 19 were Facebook videos. In May, Budweiser posted about 60 YouTube videos to Facebook, of which fewer than 10 videos used Facebook's functionality; in September, those numbers flipped. 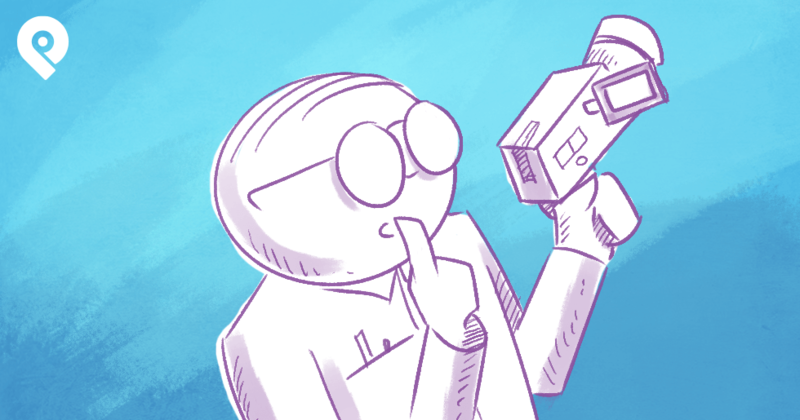 I ranted last year about how experts advise everyone to post more often. Don't listen to the experts. Your aim should be to deliver QUALITY rather than quantity. Remember: I invested hundreds of dollars to get just a few views. Videos you launch that people neither watch nor respond to have little value. [Facebook video rank] considers whether someone has watched a video and for how long they watched it. 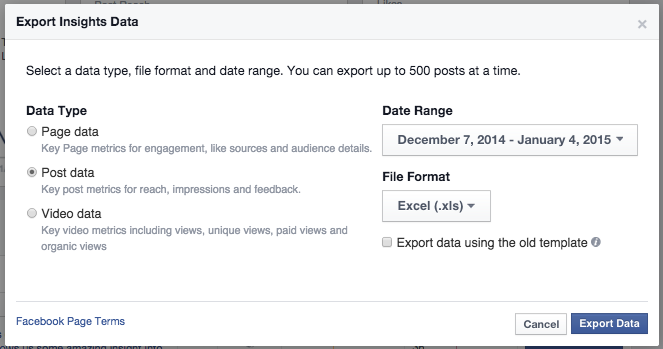 We’re adding that to the factors we considered previously, which included likes, comments and shares. This change will affect all videos uploaded directly to Facebook. Just uploading a video to your Page doesn't cut the mustard. In order to rank, that video needs to get played, shared, liked and talked about. We're talking RESULTS, not just going through the motions. 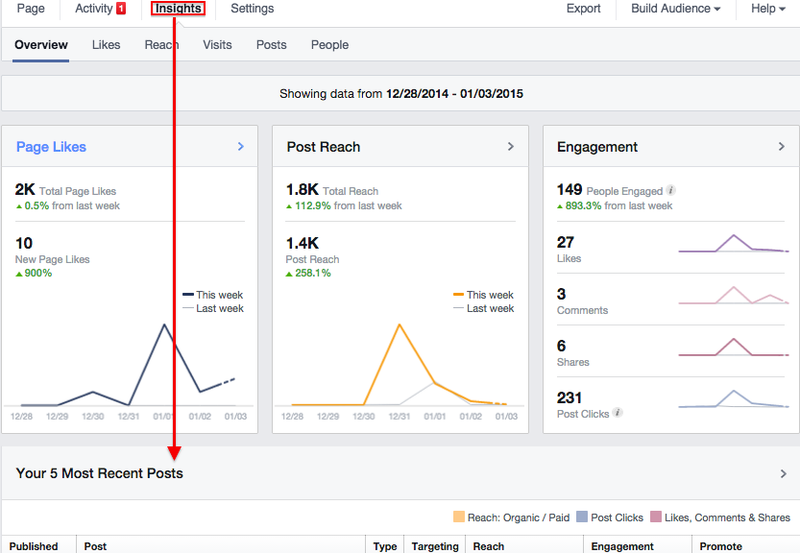 Here's how to find out which of your posts are working (and which aren't) -- when the facts don't match up to 'expert advice'... the expert's wrong. 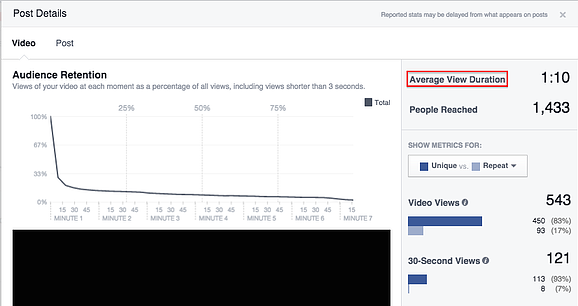 Go to your Facebook Page top menu bar and choose "Insights"
These metrics tell you how many people watched your video, how long they watched and how much of it they watched. Go to Facebook Insights and scroll down to the section named "Your 5 Most Recent Posts"
The Average View Duration metric is on the top right side of the popup box. Then open the Excel file and look for Column X, "Lifetime Average time video viewed"
These numbers are actually in milliseconds (ms). So 70743 ms is 70.743 sec -- in this case about a minute and 11 sec. Open the Excel spreadsheet of your "Video data" and click on the tab "Video Metrics AP vs CTP" as shown in the screenshot. For more information check the Facebook video ads guide. If you're a mobile app developer, you can create video ads to promote your app. Remember to include a call-to-action button that leads the viewer to download your app directly! You may have heard that Facebook beat out YouTube for the number of video views daily. In maxim #1, I pointed out that Facebook counts autoplays in the tally. YouTube reports intentional clicks only, not autoplays. How many Facebook videos start, but are never viewed? Here's something else to consider: YouTube content creators aren't flocking to Facebook (just yet) as many suppose. 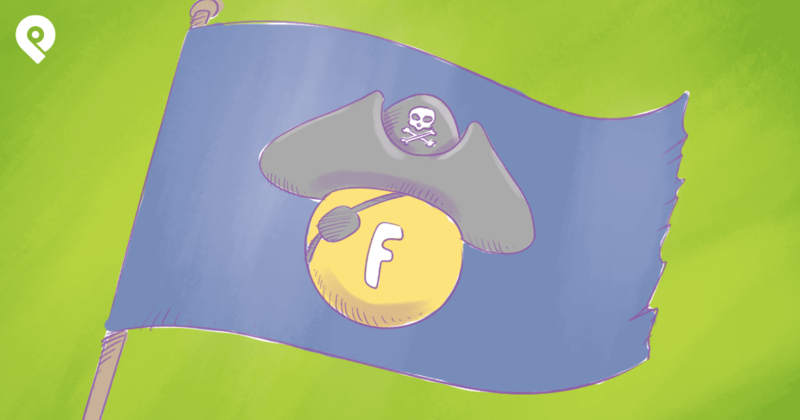 The scuttlebutt began when Socialbakers reported a 50% increase (May thru July 2014) in the number of videos that marketers uploaded to Facebook. [The trend] was obvious: The share of interactions increased for Facebook and decreased for YouTube. This is a serious threat to YouTube, as marketers are going to continue to use the network that is most effective for gaining engagement. Basically, there are no signs of the trend reversing from its current path. 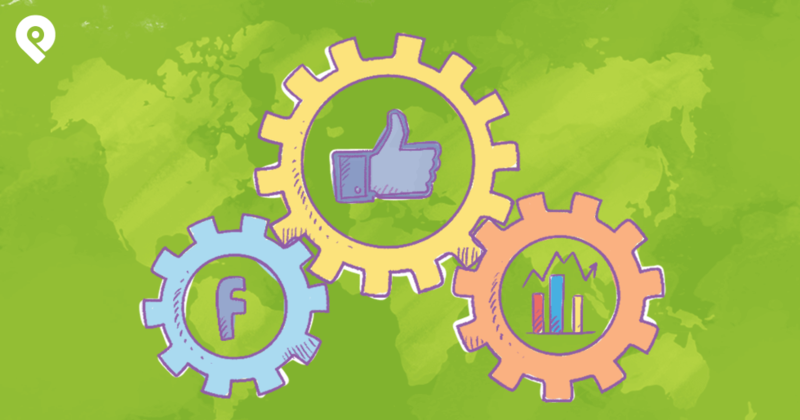 If you really want to learn how to sell on Facebook, you should take pains to learn this crucial lesson: Data is only as good as the interpretation. Millions of content creators on YouTube are earning money off their videos through the Partner Program. Since these content creators cannot earn money on Facebook (because Facebook doesn't share profits like YouTube) they aren't about to leave the hand that feeds them. If there's anything that's 100% certain it's that video consumption has grown globally, and that Facebook is helping to grow the pie with its sophisticated video offerings. Don't believe the reports that YouTube is down for the count. It just caters to a different crowd. There are plenty of video editing tools out there, but before 2014 most of them were rather clunky and made sense only to professional video editors. Ian Cleary (RazorSocial) turned me on to the new wave of video editors -- and life hasn't been the same since. You can easily do the same. You no longer have have to invest days (or months) trying to learn how to operate a photo or video editing monstrosity. The new tools make it easy. If you've not yet done so, check out Canva and be amazed (rumor has it they will release a video-editing tool this year). Lots of people swear by Camtasia -- and I've also heard good things about WeVideo, PowToon, and GoAnimate. There isn't a clear winner (since there are several subcategories within video editing). Selections range from simple animation boards and template video editing to advanced video editing. PRO TIP: For the best results, make sure to upload high-definition photos or videos (or risk looking like an amateur). There will be more emphasis on the distinction between autoplay views and user-initiated views. The debate over video consumption stats on Facebook and YouTube won't be settled until we see the same set of metrics provided by both platforms. You should also expect to see tools and platforms offer deeper video analytics. 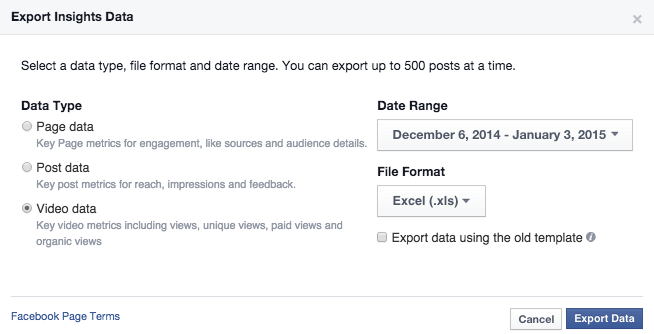 There will be an expanded application of form-gating and CTA (call to action) overlays for Facebook video marketing. New applications are emerging, and I'm starting to see more creative uses of videos on Facebook -- including the overlay of CTAs in the middle of video. YouTube has long introduced these features, and brands have reported positive effects from using well-designed overlays. If Facebook wants to allow the use of premium videos to help businesses generate relevant leads and sales, then I believe that form-gating and introduction of CTAs at specific parts of a video are natural options. Let's be frank. Users aren't going to upload more videos to Facebook just because video features are better developed. 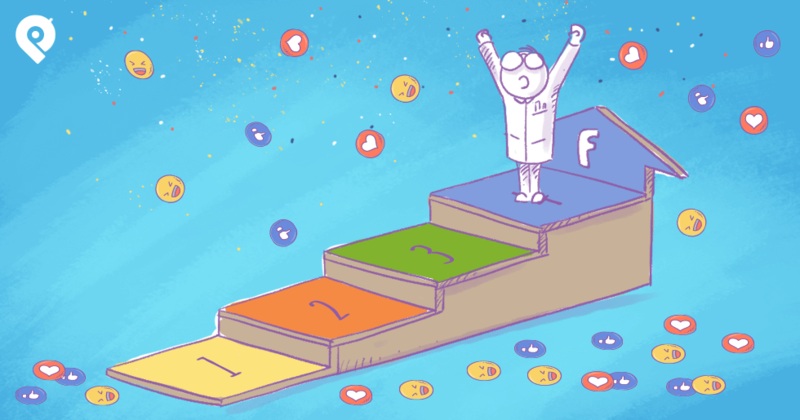 But you can expect marketers to jump on the Facebook bandwagon and start creating all sorts of footage -- from corporate videos, to behind-the-scenes videos, and perhaps even an extended version of InstaVideo. Make a determined use of analytics to find out what's working and what's not working. Then adjust your strategy and fine-tune your formula for success. Do you have other tips or experiences to share? Will you step up to the plate and help others learn how to sell on Facebook? Comments are open -- come on in!